Children have special oral health needs, and cosmetic and family dentist Dr. Durgesh Thaker has experience caring for children’s teeth and supporting their oral health as they grow into adulthood. If you live in Tamarac, Florida, or the surrounding communities, call one of his two offices for an appointment or book your child’s appointment online today. What special dental needs do children have? Children’s mouths and teeth change dramatically as they grow, and Dr. Thaker has the experience and qualifications to care for your child’s teeth, gums, and mouth throughout the various stages of childhood, through adolescence, and into adulthood. Without proper dental care from a young age, children may face tooth decay and gum disease that can set them up for a lifetime of oral health problems. 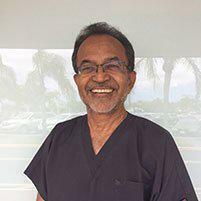 Dr. Thaker educates his young patients on ways to care for their baby teeth, helping them create good oral hygiene habits for when their secondary, permanent teeth erupt. This includes teaching them how to brush and floss effectively and helping them become comfortable with professional cleanings. To ensure your child’s teeth are developing properly, Dr. Thaker takes regular X-rays, and as your child enters their teen years, he can manage the development and possible extraction of wisdom teeth, the third set of molars that often become impacted or crowd existing teeth. Some children have a hard time remaining calm and being cooperative during dental treatments, and they require a special chair-side manner. Dr. Thaker has the experience and compassion needed to ease children’s anxiety and fears about visiting the dentist. Should I see a specialized pediatric dentist? Dr. Thaker has the experience necessary to support your child’s oral health needs, and as they age, he can continue to provide quality dental care through adolescence and into adulthood. Your child will never have to change providers. When you choose Dr. Durgesh Thaker for your child’s dental needs, you can rest assured they’re getting the best care possible for their developing smile. Call or book an appointment online and support your child’s oral health today.